Girls are crazily obsessed with pretty and stylish dresses. Either going for a party, to college or to a romantic date, a gorgeous dress is the center of their focus. They pay a lot of attention and spend a lot of time choose the best wear for them at the stores. But these ready to wear dresses can make a big hole in your pocket and especially if you are a student then they are unaffordable for you. So it would be better to lean some sewing skills so that you can make your desired dress at home saving your money for other purposes. 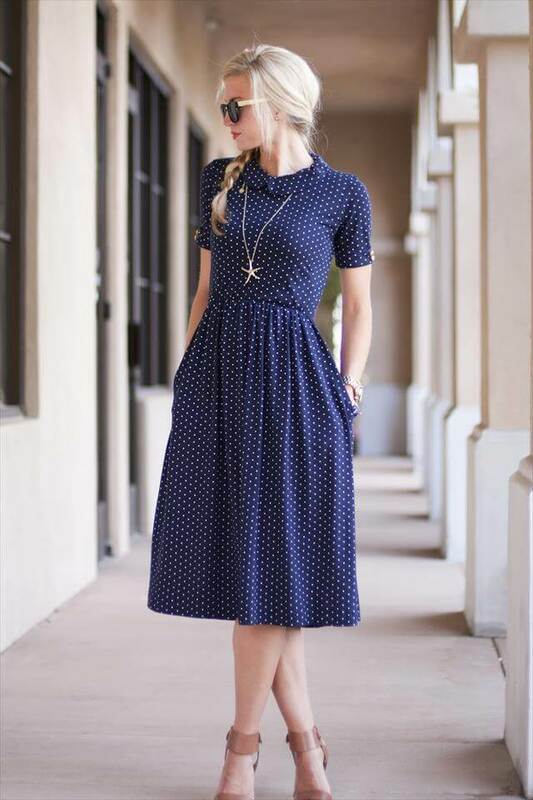 If you are you have not ever entered to the world of sewing, then it is the best time to step into with our 12 DIY dress sewing patterns. They are so easy to build that from beginners to experts every body can equally try them at home. With these ideas you can restyle your old dresses or you can create a complete new wardrobe by following these feasible patterns. Adding some simple flairs, ruffles and folds you can twist up your frocks, date dresses and skirts. Or you can add a fabric patch or laces to your summer dresses at the top or bottom with some interesting sequences. Or a simple cut out at the slit or back can turn your dull dress into a glamorous wear. Be sure to try maximum ideas from the following round up.